Nova Scotia is banning fracking. Onshore, but not offshore, and not pipelines. But at least the Nova Scotia government listened to environmentalists, the grassroots, and rural people about that much. Will our local and state governments listen about the Sabal Trail fracked methane pipeline? 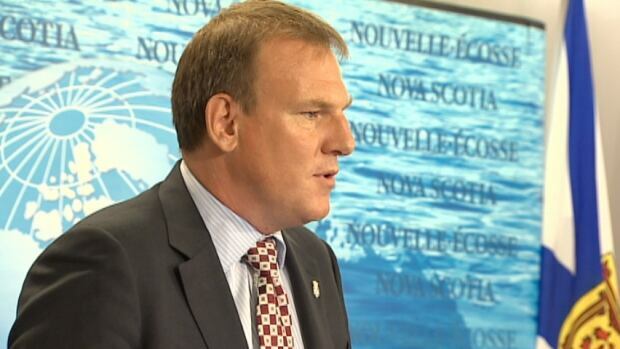 Energy Minister Andrew Younger announced Wednesday that the Liberal government plans to introduce legislation in the fall prohibiting hydraulic fracturing in shale oil and gas projects in the province. to the loud applause of environmentalists in attendance. Maybe local or state governments around here will listen to the concerns of the environmentalists and the grassroots and the rural population of Florida, Georgia, and Alabama and use their land-use zoning powers to stop the Sabal Trail pipeline. How about let’s get on with public debates in county commissions and state legislatures across the southeast about banning unnecessary natural gas pipelines? And any ban on fracked methane pipelines around here could be permanent, since solar power is already cheaper, faster, safer (according to Sabal Trail’s own figures), and solar prices continue to go down, as they have for the past thirty years, while solar jobs continue to increase, and will for many years, unlike pipeline installation jobs, which are brief and mostly for crews from somewhere else. The Herald reports that the fossil fuel industry tried to play the jobs card, but remember a year ago there were already more jobs in solar power than in non-managerial oil and gas extraction. Which means we could see fracked methane from Nova Scotia through Sabal Trail, since Spectra’s pipeline network extends all the way up there. Fortunately, there is opposition to that, too. The Council of Canadians, which would prefer an outright ban on fracking, was also pleased with Younger’s announcement. The Council of Canadians stands in solidarity with the Innu, Maliseet and Mi’gmag First Nations of Eastern Canada, who are calling for a 12-year moratorium on oil and gas development in the Gulf of St. Lawrence and an integrated environmental assessment by an independent panel. We share the concerns raised at the Innu-Malecite-Mi’gmaq Alliance for the Protection of the Gulf of St. Lawrence media conference held on July 16, 2014 in K’jipuktuk (Halifax). The issues raised include the lack of consultation with First Nations, rights to the natural resources contained within the Gulf’s water and shores, and the inability to respond in an emergency spill situation. The possibility of a legal action exists if First Nations rights are not acknowledged, and we will support this in whatever way we can. The Province has just announced that they are prohibiting Hydraulic Fracturing in NS! The Assembly, KMKNO and the Hydraulic Fracturing Committee have worked very hard in hopes that this would happen! Click below to read our press release. Earlier today, the Assembly of Nova Scotia Mi’kmaq Chiefs heard firsthand, from Minister Younger and his counterparts, the Province’s decision to prohibit shale hydraulic fracturing in Nova Scotia. The Assembly welcomes this announcement, as the Mi’kmaq have been strong advocates against any hydraulic fracturing activity in our traditional territory. Last year the Assembly established their own Hydraulic Fracturing Committee, which is led by Chief Paul Prosper, Assembly Lead Chief of the Energy Portfolio, and made of up representatives from Kwilmu’kw Maw-klusuaqn Negotiation Office; Confederacy of Mainland Mi’kmaq; Union of Nova Scotia Indians and Unama’ki Institute of Natural Resources. The role of this Committee was to conduct research and formulate a position for the Assembly on the concerns the Mi’kmaq of Nova Scotia have with respect to hydraulic fracturing. The Mi’kmaq already blockaded fracking operations in New Brunswick so successfully that Houston-based fracking company SWN abandoned fracking there for at least a year from December 2013. This despite, as Angela Hennesy reported for VICE 18 October 2013, THE RCMP AMBUSHED A PEACEFUL MI’KMAQ ANTI-FRACKING PROTEST. The Mi’kmaq feather of protest won over the might of the Mounties in the end. Maybe there will be reason to thank local and state legislatures in the southeast soon for stopping that Sabal Trail pipeline. More on why many more local governments in Georgia should care than maybe previously thought they should.